Home › Bidding wars › Too many agents & too little consumer protection = regulate or disrupt real estate? 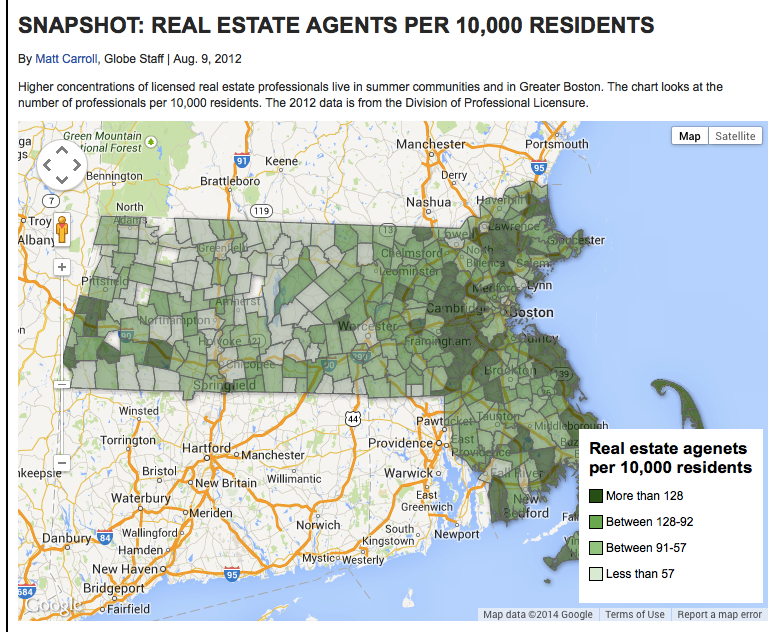 Too many agents & too little consumer protection = regulate or disrupt real estate? The Consumer Federation of America first called the real estate industry an informal cartel in 1991; yet more than twenty years later, the “sleeping giant of the consumer movement” is outside the scope of the newly created Consumer Financial Protection Bureau — despite the industry’s role in the last boom / bust cycle. One response is to ask Senator Elizabeth Warren why? 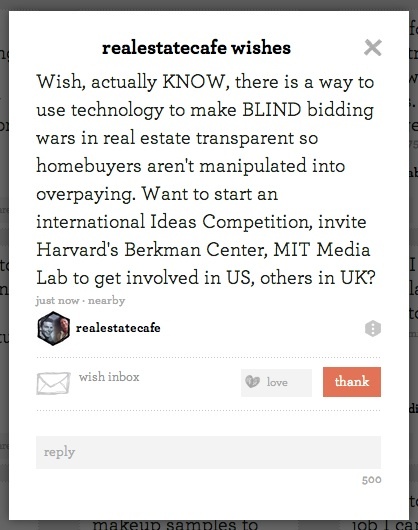 What would the real estate marketplace look like if there were no MLS? Imagine an Ideas Competition, where Harvard & MIT students and alumni, and other innovators share a $7M prize? Why $7M, because that’s what homebuyers paid OVER ASKING PRICE in Cambridge during 4Q2013! Technology exists to build a more transparent real estate marketplace where buyers are not manipulated into making BLIND bids way over asking price.